Thanks so much to Meredith for our latest book review!! 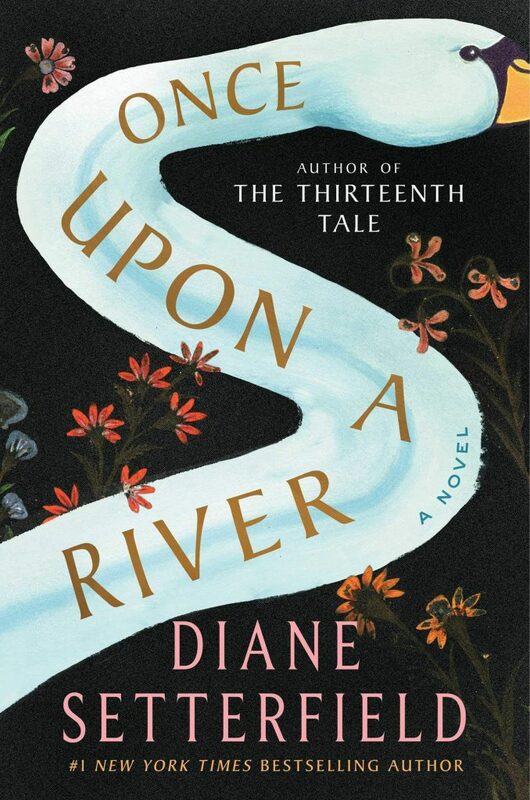 Thank you to Simon and Schuster for sending this book our way for our Once Upon a River Book Club discussion! All opinions are 100% ours–Carrie of Normal Level of Crazy and I love to receive new titles to read and share our thoughts! Of note, my lack of remembrance of our book club date had NOTHING to do with my appreciation of our book club pick, Once Upon a River. This book fully lived up to its hype as Diane Setterfield’s post-The Thirteenth Tale release. 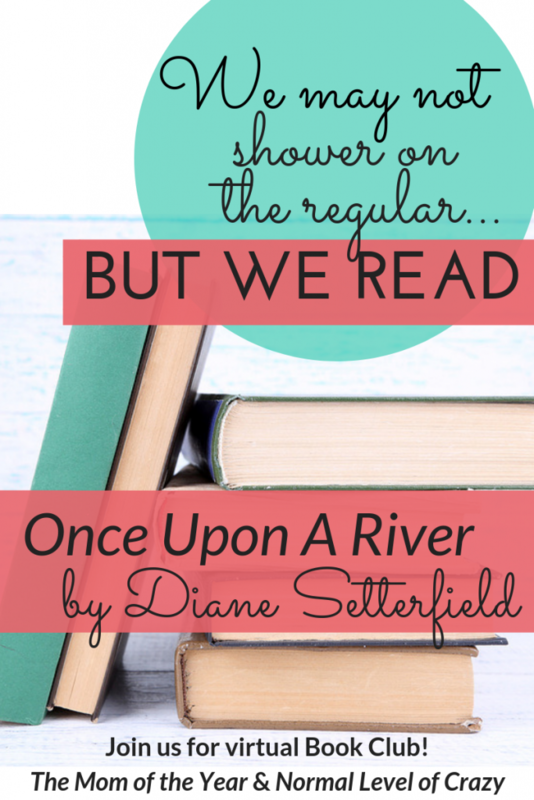 Once Upon a River is a wicked smart new release. Holy cow! The river. THE RIVER. Take a moment (or a thousand) discuss the impact the river or THE WATER had on the plot and characters of this novel. I’ll fully admit–it wasn’t until the end I fully grasped the signicance of WATER, and am now crushing on a second read-through in hopes of latching onto all the hints and promises of the water/river Setterfield offered thoughout. There were so many stories in this book! So many lovely, detailed tales explored with their characters in full, and I admired Setterfield’s artful telling of each. Which character’s world did you find yourself craving more of–a deeper digging into their world? There lots characters in this book. Who did you love? Who did you hate? Who were the ones you loved? The ones you hated? Setterfield is such an artful storyteller, every single character had a purpose. In that light, what was the signficance of some of the characters who had a smaller role in the tale? Classify Once Upon A River: fantasy, historical fiction, sci fi, romance…there are no wrong answers! What do you think and why? Let’s talk about the title. It took me until the end of the book to realize it allowed the whole book to be read as if it were one grand tale that might have been told at The Swan. How do you think Jonathan fit into his world? Was he happ? I loved him. He didn’t hesitate to be his own person, and I really liked how everyone allowed him to simply be who he was. Of all the human horrors in the book (abandonment, deceit, neglect, abuse, etc. ), which did you find most egregious and why? I had so much trouble with the father telling his children they were no more than a waste of profits! Discuss the women in this book–Lily, Margot, Rita…what did you love about them and why? What might they have done differently? I was impressed by the strength they all had, in living the lives set before them. I loved the Rita finally allowed herself to become a mother, and that Lily was able to rise out of her circumstances at the end. Thank you for reading along with us! We ALWAYS love to hear your thoughts–however big or small! We want to hear from YOU!! As always, we are giving away a copy of our next month’s pick! Just leave a comment on this post telling us you’d love to win it before 2/8/19, 5:30am ET, and as long as you are 18 or above and live in the Continental United States, you are eligible to win! We’ll randomly select a recipient from all entrants and notify the winner! 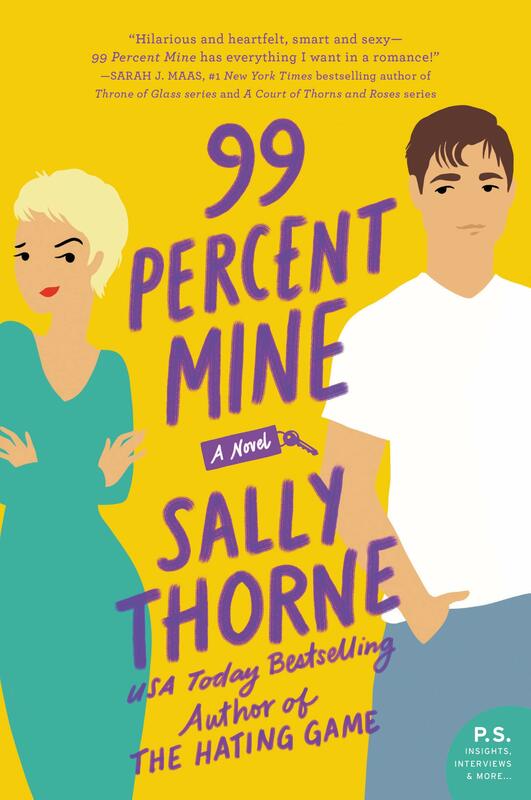 Speaking on NEXT MONTH’S PICK: hello, 99 Percent Mine! 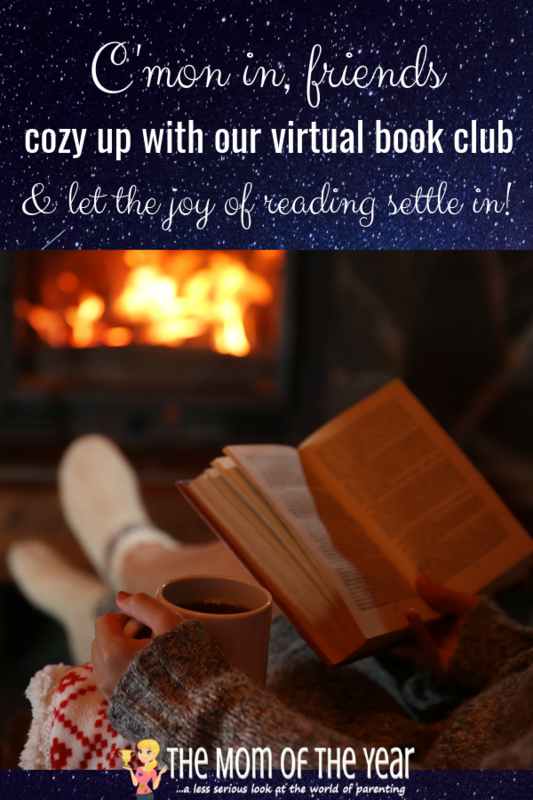 Thanks so much for reading with us and for hopping in on this Once Upon a River Book Club–we’re so glad you are here and love reading with you! !